Many of us in the field of education have at some time or another encountered Shel Silverstein’s hilarious poems. There is no doubt that he has brought joy to many children and adults alike through his silly and wacky humor. 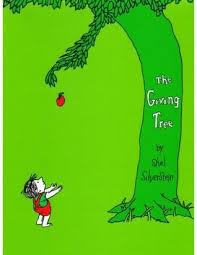 While I thoroughly enjoyed reading Silverstein’s poems to my classes and my daughter, my favorite work of his was his short book titled The Giving Tree, first published in 1964. I have always loved the short story for its beautiful message of love and selflessness, but it was not until recently that I realized that The Giving Tree has much to offer leaders. In short, the book is about the relationship between a boy and a tree and how their relationship changes over the course of a lifetime. I believe that if viewed through different lenses, The Giving Tree can help leaders be more effective if they just listen to the people they lead. Much like the relationship between the boy and the tree, the relationship between leaders and those they lead changes over time. And, like the tree, we as leaders need to be able to recognize what we need to offer. We also need to be able to recognize what it is our teachers need at each particular stage of their career and we need to provide it for them to the best of our ability. As leaders we need to realize that our teachers are at different stages in their careers and development and therefore we can’t think that treating them the same is going to be effective. When he was young, the boy would spend everyday with the tree because life was all about fun and personal fulfillment. This is much like new teachers who are often single and stay at school all hours of the night. Like the tree, it is at this point that we need to be there for teachers to help them find themselves. Teachers ask for our help and advice quite frequently when they first start and it is important that we are there for them and we help them maintain their youthful exuberance for teaching and for life. Once the boy got a little older he began to realize it was not all about self. It was at this point that the boy expressed to the tree his wishes to start a family. This meant that the boy and the tree would not be spending as much time together, and that was okay. Teachers that are in the midst of raising a family are always going to have a more difficult time balancing school and home. We, like the tree, must be respectful of this, and we must do all that we can support them in their pursuit of this difficult and stressful balance. Towards the end of the story the boy, who is now actually an old man, visits the tree and the tree feels it has nothing left to offer the boy. The tree apologizes over and over again for having nothing left to offer the boy. To this, the boy replies that he needs nothing but “a quiet place to sit and rest.” Oftentimes, this is all some teachers need. They don’t need advice. They don’t need lectures. They simply may need just a place to sit and an ear to listen. While I still believe that The Giving Tree is a story meant to teach us about love and selflessness, I now see that it has much to teach me about leadership and the power of listening so that I can best help each teacher based on their individual needs. Read it again and tell me what you think. Maybe it is just me, but I think that tree has a lot it can teach us.